Men: White Pancha, Dhoti (Must remove Shirt and Vest till you complete Darshan). Dhoti is Mandatory. Advisable to wear Upper Cloth). No.Of Tickets Issued: 35 for online booking. Online and Offline booking is available for these tickets. The devotees are allowed to have Darshan after Seva. Tickets can be booked 120 days in advance in online. One can book 2 tickets using 1 login ID. Required ID proof details: Aadhar Card/ Passport/ PAN Card/ Driving License/ Voter ID. Cancellation/ Postpone/ Pre-pone is not available for the confirmed Sevas. 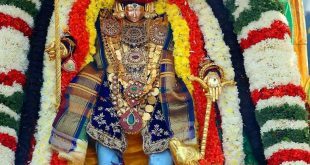 How to reach Tiruchanur Temple? The nearest airport is at Tirupati which is 20 Km away. 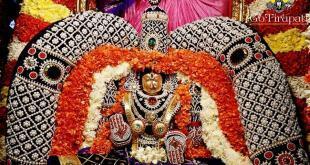 The nearest Railway station is at Tirupati which is 8 Km away. 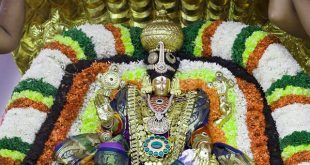 The direct bus is available from Tirupati to Tiruchanur Temple.